12 piece die cast and plastic farm vehicle playset. 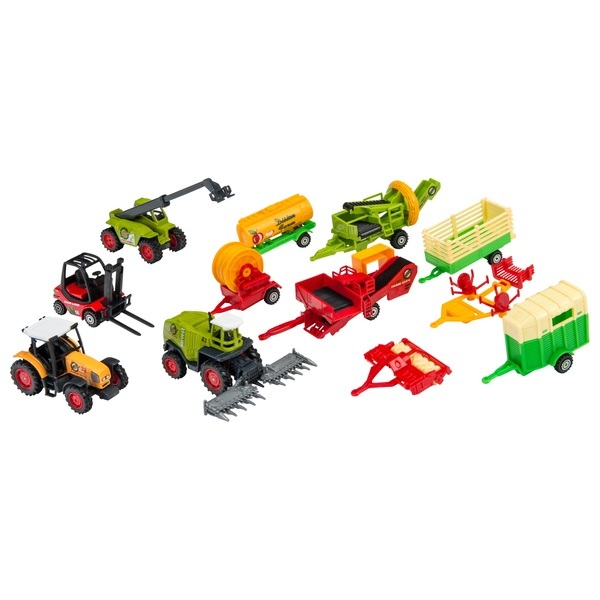 The 12 piece sets come with different items such as tractors, trailers, horse boxes and lots of other farming vehicles. Styles may vary.